Whether repairing or enhancing a signal, Multiplicity gives you a degree of control that isn’t possible with anything else. 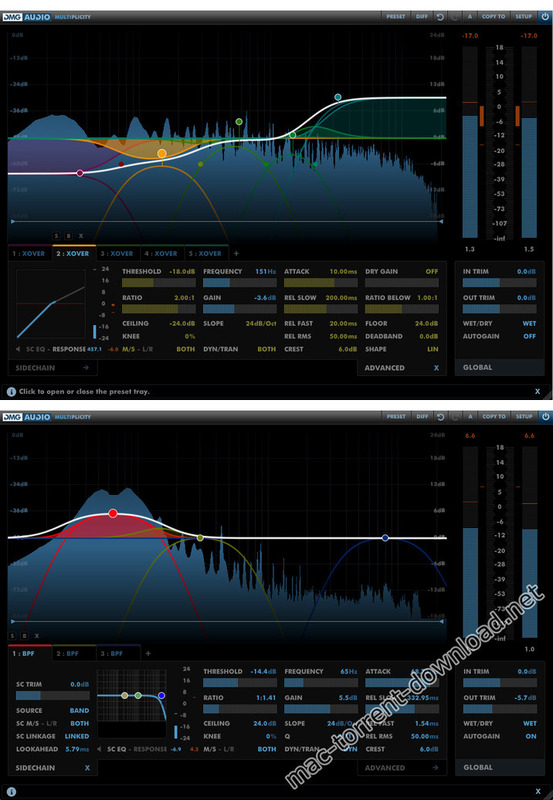 Dualstage dynamic handling separates transients and dynamics. Dualtiming release. No more pumping. Bittransparent linear phase crossover and bandsplitting. Global and perband gain staging. Perband dry gain for parallel processing. Perband dualstage release with configurable RMS detection and crest factor. 3band sidechain EQ per band. ITU1770 based autogain, allowing you to work at a fixed perceptual level. Perband metering of sidechain PPM and GR. Perparameter linking, locking and MIDI Learn functionality.